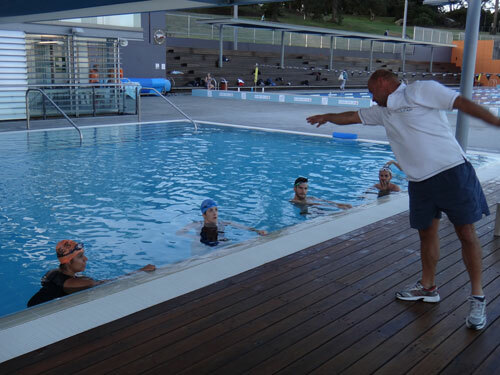 The aim is to improve your efficiency in the water and reduce your swimming drag. Stroke correction is designed for swimmers who want to improve their front crawl (freestyle) swimming technique before taking the step of joining a swim squad. Stroke correction can also help swimmers currently attending squads needing improvement of their technique. Swimmers are required to be able to swim a minimum of 50 m in freestyle (also known as front crawl) with face submerged in the water. Swimmers usually complaint that while they can swim, they are unable to continuously swim laps, as they need to 'catch their breath' at the end of the lane. Or swimmers feel that their current swim technique is inefficient and as a result they cannot swim any faster. If this sounds like you? than this course is here just for you! Stroke correction is covered over five sessions. We are unable to refund or credit any missed lessons except in the event of serious injury, with corresponding doctors certificate also required. Make-up sessions can be accommodated. To confirm your booking, payment is required within three working days. Note that your space is not secured unless full payment is received. Cancelations with less than 48 hours notice prior to the course commencement will result in forfeiting full fees. Cancelations with more than 48 hours notice prior to the start of the course will result in either credit or refund of your fees; a $35 admin fees will be retained.